Twice a day, I test Little H’s ketone levels and blood glucose levels using a monitor similar to this one. Little H has just started the ketogenic diet and the ketone levels in his blood need to be between 3 and 5. The hope is that once his ketones reach this level, they will start to have an anti-epileptic effect on his brain. Little H is fed through an NG (naso-gastric) tube. 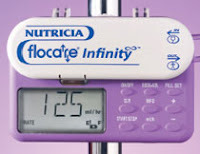 A pump like this sets the speed and ensures he receives the required amount. The wonderful charity Steps awarded Little H a year’s free membership. Every 3-4 months he receives a new switch adapted toy on loan. The switch he uses is very basic and requires minimal pressure on his part. He can simply move his hand across the switch and it will activate the toy. Little H has very little control over his movements, often it is difficult ti tell which of his movements are intentional, so a switch like this is perfect for him. It has finally given him the opportunity to ‘ply’ independently. The toys he likes are brightly coloured, with noise and flashing lights. 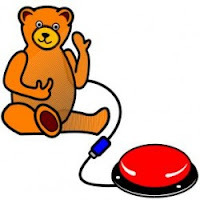 We are hoping that over time he will connect the action of pressing the switch with the reward of the activated toy. If he can learn the basics of cause and effect in a fun way like this then potentially in the future, he may be able to use a switch device to communicate with us. Here’s hoping anyway. We had a bit of a fight in our hands to get a SATs monitor. H’s seizures are so subtle that monitors used to detect tonic-clonic seizures were not appropriate. H simply stops breathing during a seizure and initially an apnoea monitor would detect pauses in his breathing while he slept. His seizures progressed though and although he still doesn’t breathe, he now has some small subtle movements that fool an apnoea monitor into thinking he is still breathing. The only reliable way to detect a seizure while we are asleep then is to measure his blood oxygen levels. Of course, conventionally seizures are not detected in this way and so the NHS weren’t keen ti recommend we use one. Letters, phone-calls and emails later they agreed, that potentially a SATs monitor was appropriate but then didn’t have one available for us to use. 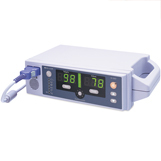 The Boparan Charitable trust kindly agreed to fund one of these monitors for us and we can now sleep easier at night knowing that if Little H does stop breathing that this monitor will alarm and wake us in time to resuscitate him. This wonderful piece of technology basically saves H’s life. This blog post is part of the awareness raising campaign - Special Saturday - raising awareness of people living with special needs around the world. I think we're are enormously lucky these days to have so much technology to help monitor/feed/entertain/educate our children. I can't even image what life would be like if it was all taken away. I really hope the ketone diet helps, I've heard it's quite a commitment- worth it if it helps though I'm sure! p.s. Did you know your twitter link in the sidebar leads to a 404 error message? Thank you for highlighting how life saving technology can be. It's such a shame when people have to fight to get what they need. That's great to hear how much Smiley has come on Blue Sky. It does give me hope. Di, yes switches are great and their potential for use in the future to communicate is very exciting. Thanks Renata - no it's scary to think how different things would be without such technology. Some of our children's lives do depend on it. Thanks for the hint about the link - I'll see if I can sort that out now.